Johns Island, SC is located south of James Island and the Charleston Peninsula. Even though Johns Island is only 15-20 minutes from downtown Charleston, it is mostly undeveloped farmland and horse pastures. Plenty of new construction neighborhoods have sprung up over the past decade, offering buyers some of the most affordable houses you'll find in Charleston County. Are you looking for specific features in a Johns Island home? Our fully customizable search feature lets you search for homes that fit your needs perfectly. Search listings by square footage, year built, lot size, and many other features! Johns Island is ideal for buyers wanting newer communities in the under $250K range, homes with large lots (half an acre or more) in generously proportioned subdivisions, as well as homes with no covenants and restrictions that would provide a rural lifestyle. Johns Island is one of the few areas in the county where buyers can find the kind of acreage suitable for raising horses or simply a home with no neighbors or other buildings in site. The readily available land on Johns Island brings with it an affordability to all home buyers, whether they're looking for a country farm or a waterfront home in a restricted subdivision. Summertrees is one of the most affordable communities on Johns Island. The majority of these houses were built from 2003 to 2008 and hold the EarthCraft designation (which means they’re very energy efficient). The only amenity at Summertrees is a kids’ playground, so this is a great neighborhood to consider if you’re wanting the lowest possible HOA fees and long term maintenance costs. The most sought after homes in Summertrees are the ones that back up to woods or one of the community ponds, and this privacy tends to help with resale and overall value in the future. If you're looking for 1 story floor plans, this is also a good neighborhood to consider since you'll generally find a good selection. The Villages in St. Johns Woods is popular among buyers for its charming home designs which range from classic Charleston singles to bungalows to craftsman styles. The main drawback to this neighborhood is the smaller than average lot sizes for Johns Island - most are between a fifth and a fourth of an acre. (Many buyers look to Johns Island to get the open space or large yard that they need.) However, the timeless look of these homes combined with upgrades like crown mouldings and high ceilings - not to mention cement plank exteriors - make it worth consideration. For folks wanting a newer home priced under $500K with a yard that's easy to maintain, this neighborhood should certainly be on your list to check out. Amenities for The Villages in St. Johns Woods include a swimming pool, club house, and kids' park. 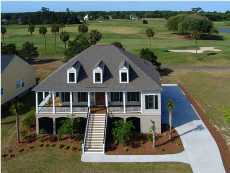 Rushland Plantation offers some of the best built homes on Johns Island. Since this community is surrounded by marshes, you'll find homes with expansive marsh and water views. Buyers are generally very impressed with the quality of construction, the roomy square footage, and the level of detail that goes into these houses. Rushland Plantation is known for its Low Country designs, many of which boast double front porches. This 500-acre neighborhood will only have 123 home sites to ensure conservation of the abundant wildlife on this section of the island. Amenities for Rushland include three community docks, a swimming pool, and club house with covered pavilion. 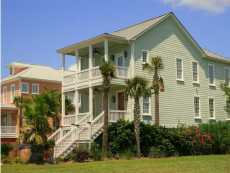 Some of these homes also have private docks located on the Intracoastal Waterway (the Stono River). On average, houses in Rushland Plantation offer about 3,000 sq ft, 10 foot ceilings, .4 acre lots, and high end appliances and finishes like granite and marble in the kitchens and baths. Headquarters Plantation has the closest proximity to downtown Charleston of any of the Johns Island neighborhoods. In fact, the turnoff for this community is directly off the Stono River Bridge (the connector between James and Johns Islands). The stoplight at this intersection allows for easy access to and from the Stono River Bridge. Headquarters has one condo subsection, Stono Watch, but is otherwise made up of single family houses. The homes overlooking the Intracoastal Waterway have some of the best deep water access on Johns Island (and most of these homes have private docks, often with boat lifts). Headquarters Plantation is one of the few gated communities on Johns Island and is an ideal neighborhood for buying in the $500K plus range. Gift Plantation is located off Chisolm Road, on the far side of Johns Island. 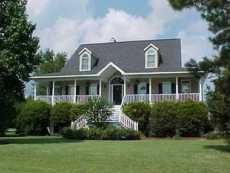 Its secluded location makes this one of the most spacious of Johns Island's communities. The lot sizes for these homes range from half an acre to one and a half acres - great for folks wanting enough room for a pool, a garage workshop, or simply their own open space. Gift Plantation is ideal for the buyers who want the best of both worlds - enough acreage to give privacy but also the benefits of living in a well maintained residential neighborhood. 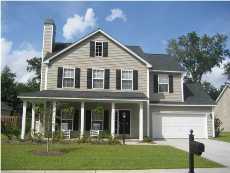 This community is a perfect example of the estate sized properties that are difficult to find outside of Johns Island. Gift Plantation amenities include a swimming pool, club house, tennis, and dock facilities. Kiawah River Estates (formerly called Hope Plantation) is the only golf community on Johns Island. Its Oak Point Golf Course is owned by Kiawah Island Resort. Many of these homes overlook Kiawah, which is located just south (across the marsh). In addition to golf, amenities for this gated community include a swimming pool, tennis courts, club house, and dock. This is one of the furthest neighborhoods from downtown (about a 35 minute drive). Depending on your commute and your personal preference, this southwestern section of Johns Island may be too far out. 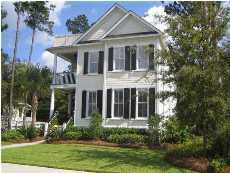 However, those looking for a private community with full amenities often choose Kiawah River Estates. Also, Bohicket Marina, Freshfields Village, and the Mullet Hall Equestrian Center are just 5 minutes away. Located past James Island and some twenty minutes to the west of the boutique shopping and restaurants of downtown Charleston, lies the wooded outlying community of Johns Island. Bearing more in common with rural West Ashley than the increasingly developed James Island that connects it to the rest of Charleston County, Johns Island is a pleasant anomaly and a welcome sight to the home buyer whose interests are privacy, relaxation, and a close connection to the land. Connected to the greater Charleston community through a series of scenic causeways and bridges, Johns Island is truly a land apart from other Charleston suburbs. Countless wooded lots and breathtaking marsh views give this predominantly rural area a closer feel to that of Berkeley or Dorchester Counties, but with the benefit of being a short drive to the heart of downtown. For nature lovers and history buffs alike, there is much to see and do on Johns Island. The towering Angel Oak, a 1500 year old southern live oak, is located in Angel Oak Park and is thought to be one of the oldest living things east of the Mississippi. Each year during Charleston's annual Spoleto Festival, there is the series of events "An Evening Under the Angel Oak" featuring dancing, music and other cultural activities. Also located nearby is the popular James Island County Park, with its climbing wall, numerous nature trails, dog park, splash zone, and sprawling camp grounds. The charm of Johns Island lies in its largely unspoiled character and close proximity to the more developed areas of downtown, West Ashley, and James Island. Although dense residential communities are beginning to spring up on Johns Island, there are numerous modestly priced land/home packages to be found. For those looking to stretch their home buying dollar (as well as possibly trying their hand at farming), freestanding homes in this area are often comparable in price to townhouses and condominiums in other Charleston districts. Investors interested in larger possibilities would also do well to consider the advantages of Johns Island. With its acres of undeveloped real estate and numerous waterways, Johns Island is an excellent location for real estate development. There is also a lively ongoing debate concerning the future of Johns Island: whether a proposed annex of Interstate 526 will be added to the island (dramatically increasing growth), or whether it will retain the breezy charm and sustainability that have been its history for the past hundred years.